Great Smoky Mountains National Park officials continue to search for Mitzie Sue “Susan” Clements, 53, who was last seen in the Clingmans Dome area of the park on Tuesday, September 25. Trained personnel from cooperating agencies in Tennessee, North Carolina, and Virginia have responded to assist park staff in a large-scale search effort for the missing woman in steep, rugged terrain. As of Saturday, around 125 trained searchers and logistical support personnel from more than 30 state and local agencies and search and rescue organizations are participating in the search operation led by the National Park Service. Helicopters and multiple canine teams have been deployed for the search effort. Specialized search and rescue drones, operated by FAA-licensed pilots are being used in some areas to help search for Clements. Searchers have worked through rain, fog, wind and low temperatures in the 40s over the last several days in this mountainous region which straddles two states and several counties. Today’s forecast calls for clearer skies and drier air, a welcome change for search personnel. 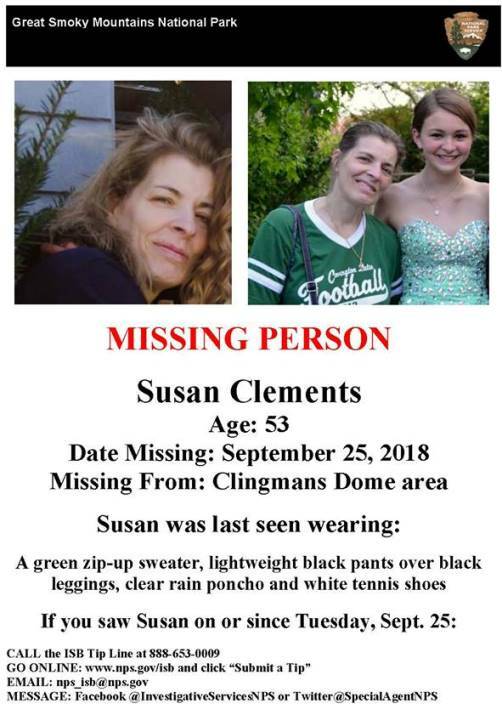 Susan Clements was last seen on the Forney Ridge Trail approximately ¼ mile from Andrews Bald on Tuesday, September 25 at 5 pm. She is a white female with light brown hair and blue eyes, is 5’6” tall, and weighs 125 pounds. She is wearing a green zip-up sweater, black workout pants over black leggings, a clear rain poncho, and white tennis shoes with purple laces. Anyone who saw Clements on Tuesday afternoon or since then is asked to contact the National Park Service Investigative Services Branch through one of the following methods: 1-888-653-0009, www.nps.gov/isb and click “submit a tip,” email e-mail the park, or via a message on Facebook at “InvestigativeServicesNPS,” or Twitter @SpecialAgentNPS. Due to the on-going search for a missing woman, Clingmans Dome Road is CLOSED to vehicles to better facilitate search-related traffic and to ensure the safety of search crews. The road will remain closed until further notice and we can not estimate its opening at this time. We appreciate your cooperation and understanding during this search and rescue operation. Follow us on Twitter at @SmokiesRoadsNPS for road status updates. Great Smoky Mountains National Park will host a stargazing event at the Appalachian Highlands Science Learning Center beginning at 7:00 pm on Friday, October 5, 2018. Located on Purchase Knob, the learning center provides one of the clearest views of the sky in the park and in Haywood County, NC. The Astronomy Club of Asheville will lead an exploration of the night sky at this high elevation site with a 260-degree unobstructed view of the sky. If skies are clear, visitors can expect to see the Milky Way Galaxy high overhead that night, along with the planets Saturn and Mars, the Andromeda Galaxy, and many striking star clusters. The event starts with an indoor presentation, which will be held rain or shine, to discuss what can be seen in the nighttime October skies. After that, participants will head outside, weather permitting, to stargaze. The learning center is located at 5,000 feet in elevation so visitors should dress in warm layers. The program is free but limited to 80 people, so reservations are required and can be made by registering through Eventbrite, at www.eventbrite.com/e/star-gazing-at-purchase-knob-grsm-np-tickets-49856316585, or by calling 828.497.1946. Purchase Knob is located off US 276 near Maggie Valley, North Carolina. The use of GPS or an internet map service to find Purchase Knob is not recommended, but park staff can provide reliable directions when visitors make reservations. Great Smoky Mountains National park rangers are searching for a 53-year-old woman from Cleves, Ohio who was last seen in the Clingmans Dome area of the park on Tuesday, September 25. Mitzie Sue “Susan” Clements was hiking with her daughter on the Forney Ridge Trail, near Andrews Bald when the two separated. She was last seen around 5:00 pm approximately ¼ mile from Andrews Bald. Park officials were alerted that Clements was missing on Tuesday evening and began to search the immediate area with no success. On Wednesday, officials expanded the search area, and additional personnel were called in to search. Last night experienced searchers spent the night on the Appalachian Trail, attempting to locate Clements and to interview any hikers in the area. The search continues this morning with approximately 40 trained members of the park’s Search and Rescue Team. Susan Clements is a white female with light brown hair and blue eyes. She is 5’6” tall and weighs 125 pounds. She is wearing a green zip-up sweater, black workout pants over black leggings, a clear rain poncho, and white tennis shoes. Anyone who saw Clements on Tuesday afternoon or since then is asked to contact the National Park Service Investigative Services Branch through one of the following methods: call or 1-888-653-0009, www.nps.gov/isband click “submit a tip,” email e-mail us, or via a message on Facebook at “InvestigativeServicesNPS”, or Twitter @SpecialAgentNPS. Great Smoky Mountains National Park officials announce upcoming Fall “Smokies Service Days” volunteer projects. These unique opportunities allow community members and park visitors to get involved and become stewards of Great Smoky Mountains National Park! Individuals and groups are invited to sign up for any of the scheduled service projects that interest them including unique opportunities to help care for park campgrounds, historic buildings, and other natural and cultural resources within the park boundaries. This volunteer program helps complete much-needed work across the park and is ideal for those seeking to fulfill community service requirements, including high school and college students, scout troops, civic organizations, visitors, families, and working adults with busy schedules. Each project will provide tasks appropriate for a wide range of ages. Volunteer projects will begin at 9:00 a.m. and last until noon on Saturday mornings, except for the November 23 service date. In addition, each project will be followed by an optional enrichment adventure to immerse participants in the abundant natural and cultural resources of the park. Tools and safety gear, including gloves and high visibility safety vests, will be provided by park staff. Participants are required to wear closed-toe shoes and other Personal Protective Equipment (PPE) as directed. Volunteers planning to stay for the optional enrichment activity must also bring a sack lunch. 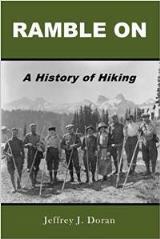 The Appalachian Trail Conservancy (ATC), an organization working to preserve and enhance the Appalachian Trail (A.T.) for more than 92 years, recently announced a new partnership with Kubota, a leading global provider of lawn mowers, utility vehicles, construction equipment, agriculture tractors and hay equipment. The partnership involves Kubota graciously providing the ATC with the usage of a compact track loader, a high-tech machine that can operate in remote Trail sections. The powerful 96 horsepower diesel engine easily removes invasive woody vegetation. The mower attachment for the Kubota tractor is generously provided by Beverage Tractor, Virginia’s largest full-line Kubota dealer located in Stuarts Draft. In the absence of historic natural disturbances and large grazers that formerly roamed the Appalachian Mountains, the ATC selectively removes woody vegetation to maintain habitat for populations animals, such as monarch butterflies, golden-winged warblers, and rare bees, that require open, shrubby areas, or grasslands. This work is just a part of the ATC’s ongoing stewardship efforts to care for the A.T.’s various rare, threatened and endangered species. The Southern Region of the USDA Forest Service is immediately waiving fees and making all campgrounds available for individuals displaced by the recent flooding and evacuation. Like several areas along the Gulf Coast, many National Forests were impacted by the recent storm. Some of the region’s campgrounds are closed due to the inclement weather. Roads and facilities are opening quickly this morning! Our maintenance crews and other folks have been out since 6 am, sweeping light debris and removing a few large trees from the roadways. All primary roads are now OPEN. Campgrounds and other facilities are starting to open up now as employees make their way into work. Crews report dense fog in some areas of the park, so please use caution if you are headed into the park today! Shenandoah National Park has announced a phased reopening of Skyline Drive, facilities, and the backcountry after its closure due to Hurricane Florence. Skyline Drive, Big Meadows Lodge, and Skyland Lodge will reopen at 4:00 p.m. on Friday, September 14, 2018. Lewis Mountain Cabins, the backcountry, campgrounds, campstores, and waysides will reopen at 8:00 a.m. on Saturday, September 15. Visitor Centers will reopen at 9:00 a.m. on Saturday. For more information about concession services, call please call 877-847-1919. The Park will continue to provide updates via its website (www.nps.gov/shen), its social media feeds, and its information line (540-999-3500, option 1, option 1). Hurricane Florence’s predicted path brings its remnants into the area of Shenandoah National Park Monday and Tuesday. Park officials are monitoring its progress. Saturated soil continues to be a concern for tree falls so visitors should use caution when travel through the Park. The USDA Forest Service is closely tracking the forecast models of Hurricane Florence. It has been determined that it is necessary to close all developed (improved facilities) campgrounds and certain other areas in the northern portion (Unaka and Watauga ranger districts) of Cherokee National Forest by Friday September 14 at 12 noon. Sites will be evaluated for health and safety and reopened as conditions allow following the storm passage. The closures are being implement in the interest of public health and safety. Forest Service officials at the Cherokee National Forest strongly recommend that, due to expected wind and rainfall, the public not use trails or general forest areas. Emergency response times will be multiplied if an incident or medical emergency were to occur. Excessive rain and high wind have the potential to create high water, flash floods, falling trees, mudslides, and severe damage to facilities and roads. Much of the Cherokee National Forest is heavily forested, remote and mountainous, making the potential for hazardous conditions significant. Anyone planning a visit anywhere in the Cherokee National Forest should seriously consider postponing their visit until the threat of Florence diminishes. • Access to Pisgah Inn will be via US-276 only. No access via the Parkway from the north will be available. • Access to Peaks of Otter Lodge will be via VA-43 only. No access to Peaks of Otter Lodge via the Parkway from the north will be available. At approximately 1:00 PM on Sunday, September 09, 2018, park rangers were notified of a 59-year-old male in need of medical assistance on Twin Arches Loop Trail, between Twin Arches and Jake’s Place, within the park. Park rangers arrived and provided CPR without success. Maryville, Tennessee-area resident Monte McDonough, was pronounced dead at the scene. His body was recovered and transported to Pickett County Coroner with the assistance of personnel from Fentress County Rescue Squad, Frozen Head State Park, and Big South Fork National River and Recreation Area. If you plan on being anywhere near the Great Smoky Mountains or the Blue Ridge Mountains between Friday and Tuesday, you may want to note that there's an increasingly strong chance that you will be feeling the effects of Hurricane Florence. The hurricane will likely reach the Carolina Coastline as a Category 2 or 3 hurricane by late today. The current track of the storm has it pushing inland almost directly over the Southern Appalachian Mountains around Sunday and Monday. Visitors and hikers should be prepared for strong winds, heavy rain and the possibility of flooding during this period. As of right now, the North Carolina side of the Smokies could get between 3 and 5 inches of rain through Tuesday. The Tennessee side is projected to receive 1-3 inches. However, this storm appears to be highly un-predictive, so it's best to stay tuned to the Weather Channel for the latest information. You may also want to note that Shenandoah National Park closed this morning, while the U.S. Forest Service will close all campgrounds and recreation sites, day use or overnight, in the Nantahala and the Pisgah National Forests by noon today. They have also warned the public not to use trails or general forest areas as well. 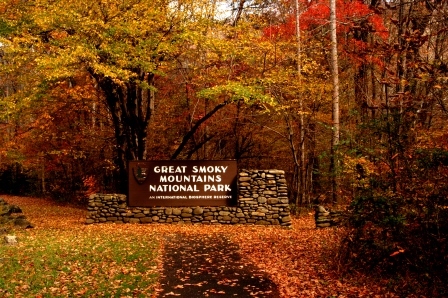 Having said that, it would seem to follow that it is a possibility that the Smokies may have to close the park as well. Keep an eye on the Smokies Facebbook page and their temporary closures page for the latest information. Shenandoah National Park will close at noon on Thursday, September 13 in anticipation of severe weather associated with Hurricane Florence. Meteorologists are forecasting a significant wind-rain event, particularly in Shenandoah’s higher elevations. Damaging winds combined with already saturated soil will make for hazardous conditions with trees toppling and branches falling. 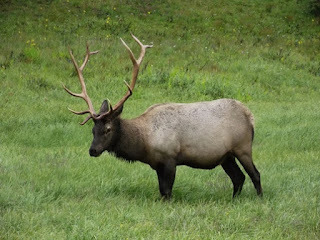 Great Smoky Mountains National Park officials remind park visitors to exercise caution as they view and photograph elk to protect both the animals and themselves. Elk have entered the fall breeding season, known as the rut. As a result, from September 1 through October 31, fields in Cataloochee and Oconaluftee are closed to all users. Even when elk are not present, people are not allowed to walk into the fields. Visitors are encouraged to use binoculars, spotting scopes, or cameras with telephoto lenses to best view and photograph wildlife. Feeding, touching, or disturbing any wildlife, as well as willfully approaching bears or elk within 50 yards (150 feet)–or any distance that disturbs or displaces wildlife–are all illegal in the park. If approached by an elk, visitors should slowly back away to create space for the animal to pass. If viewing elk near roadways, pull completely off the road, and remain in or next to your vehicle at a safe distance from the animal. If you're going to be anywhere near the Great Smoky Mountains or the Blue Ridge Mountains between Friday and Monday of next week, you may want to note that there's an increasingly strong chance that you will be feeling the effects of Hurricane Florence. The hurricane will likely reach the Carolina Coastline as a Category 4 hurricane by late Thursday. The current track of the storm has it pushing inland over the Smokies and Blue Ridge Mountains region around Saturday or Sunday. Visitors and hikers should be prepared for strong winds and heavy rain during this period. This projected track could change for the better or the worse, so stay tuned to the Weather Channel for the latest information. You may also want to note that the Cape Hatteras National Seashore, Fort Raleigh National Historic Site, and the Wright Brothers National Memorial have temporarily closed all visitor facilities effective today at 12:00 pm. Orvis Sevierville is pleased to announce their “Giveback Days” event taking place throughout the month of September. The outdoor retailer is partnering with Friends of the Smokies, a nonprofit that assists the National Park Service to preserve and protect the Great Smoky National Park by raising funds and public awareness. Experts are cautiously optimistic about the prospects for an above average fall color display this year. It will be dependent on less rain falling on the mountains over the next several weeks, which forecasters seem to think will happen. If you're planning to hit the trail this fall to take in the colors, you may want to check out our fall color hiking guide, which offers recommendations on where to hike as the season progresses. Please click here for more information. Shenandoah National Park will honor America’s wilderness heritage during its 18th annual Wilderness Weekend, September 8 – 9, 2018. Today, more than 110 million acres are protected in the National Wilderness Preservation System. Wilderness designation provides enhanced protection of areas that are used as sanctuaries for human recreation, habitat for wildlife, and sites for scientific research. This year commemorates the 42nd anniversary of Shenandoah’s wilderness designation. Forty percent of the park, or nearly 80,000 acres, is designated wilderness and represents one of the largest wilderness areas in the eastern United States. Come and join the celebration by viewing Shenandoah’s Wilderness from Skyline Drive, hiking a trail, joining a ranger program, learning how to use traditional tools, watching a movie about wilderness, or exploring visitor center exhibits. Special events will take place throughout the weekend. At Dickey Ridge Visitor Center (mile 4.6 on Skyline Drive), a special activity table featuring backcountry travel and camping skills will be set up on Saturday, September 8 from 10:00 a.m. to 3:00 p.m. Interpretive rangers will present several programs featuring wilderness topics throughout the weekend. Don’t forget to experience the interactive Wilderness exhibit at Dickey Ridge Visitor Center! At Byrd Visitor Center (mile 51 on Skyline Drive), there will be a traditional tool display and demonstration from 10:00 a.m. to 3:00 p.m. on both days. Shenandoah National Park Trail Crew will share their expertise in how traditional tools are used to maintain trails in wilderness areas. You can try your hand at using these tools! Wilderness patrol rangers will be setting up a “wilderness campsite,” and presenting short talks about wilderness skills. Interpretive rangers will be available to help you explore the history and significance of Shenandoah’s Wilderness through exhibits and hands-on activities for children. The interactive exhibit at Byrd Visitor Center, “Within a Day’s Drive of Millions,” tells the story of Shenandoah’s establishment, including the significance of wilderness designation. A film, American Values: American Wilderness explores wilderness across the United States, and can be seen upon request in the Byrd Visitor Center auditorium. Saturday at 11:00 a.m. until 12:00 p.m., the “Dogs East” organization will present a special demonstration by highly trained search and rescue dogs at the Big Meadows Amphitheater (mile 51 on Skyline Drive in the picnic grounds). All events are free and no reservations are needed, however, there is a $30-per-vehicle entrance fee to Shenandoah National Park which is good for seven days or use a valid Annual or Lifetime Pass. Go to the Wilderness Weekend page to learn more! Below is an outstanding short film by Christopher R. Abbey on what it's like to climb 14,505-foot Mt. Whitney, the highest point in the lower 48. The film has recently become an official selection for the Highlands Park Independent Film Festival in Los Angeles. Enjoy! CONQUERING A GRANITE GOLIATH - Summiting Mount Whitney from Christopher R. Abbey on Vimeo.